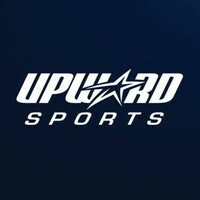 Upward Sports is one of the world's largest Christian sports league for children. One of the ministries at Northside Baptist Church, Upward Sports Victoria emphasizes healthy competition, sportsmanship, skills building and fun versus the "win-at-all-costs" mentality found in many children sports leagues. Crossroads Christian School is not in anyway affiliated with, authorized, maintained, sponsored or endorsed by Northside Baptist Church, or Upwards.